As the bombers wheeled beyond Fehmarn and swept over Lake Muritz towards Berlin, the German night-fighter force was overhauling the bomber stream having been directed to the ‘Big City’. Once the stream had been engaged the fighters chased through it, engaging bombers as they came across them – there were more potential victims ahead. It is not possible to match night-fighter claims with downed bombers – timings for bomber losses are generally unknown and locations for fighter victories are vague or non-existent. To give some idea of the sequence of losses I have ordered the bomber crash locations progressing in the direction of flight of the bomber stream. This cannot represent the true sequence as some combats surely happened in advance of later losses, but it gives some sense of the advancing mayhem. F/Lt Wiggin of 44 Sqn bombed at 20.22hrs – looking back from over the city it was apparent that around that time there were combats about 40miles behind, in the vicinity of Neuruppin. 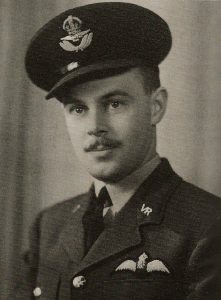 640 Squadron P/O Douglas Affleck – Halifax III LW513 – Outbound and well before reaching enemy coast experienced a problem with one of the engines and opted to abort and return to base on three engines. 22.16hrs they were nearing the Yorkshire coast, radio message picked up to say pilot was having trouble controlling the aircraft. While attempting a landing at Catfoss airfield the aircraft stalled, dived into the ground and exploded on impact at 22:32hrs, around half mile south of the airfield near Catfoss Manor. All were killed. It was thought likely that icing made aircraft uncontrollable. A Lancaster was shot down at 1910hrs approaching the Danish coast by Lt. Bruno Heilig, one of three Lancasters shot down over the North Sea. 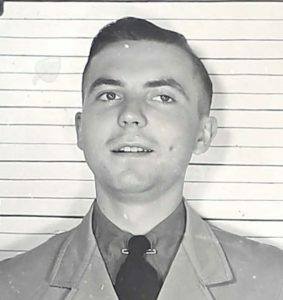 Two were claimed on the homeward leg by Lt. Guido Krupinski and Ofw. 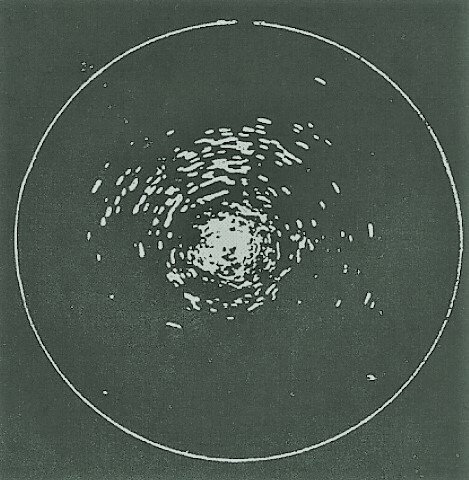 Heinz Vinke, both of 11./NJG1. 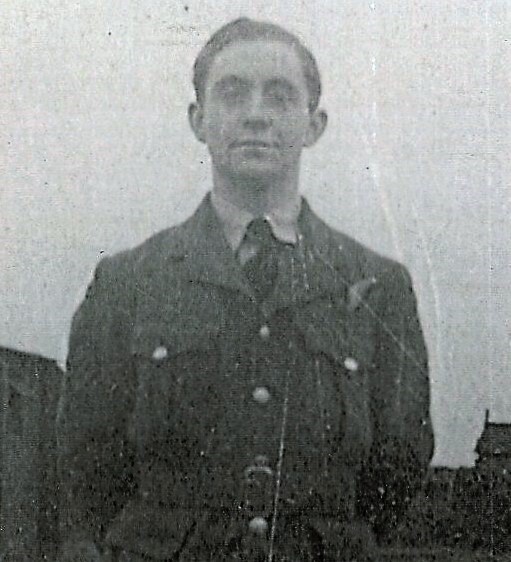 626 Squadron F/O John Wilkinson – ME587 – lost without trace, probably North Sea. .463 Squadron P/O Peter Hanson RAAF – JA973 – crashed Repente village N E of Grosser Zechlinersee, about 12miles south of Lake Muritz (53.17N/12.82E). Sgt Hughes PoW Sgt Bligh, P/O Hanson and F/Sgt Wilson buried Repente Cemetery, Sgt Stevens and Sgt Edgecombe commemorated on the Runnymede Memorial. 463 Squadron P/O Lyndsay Fairclough RAAF – ED545 – crashed Luttgendosse (53.06N/12.51E), approx 15 miles NW of Neuruppin. 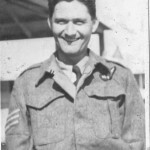 F/Sgt P K Giles PoW. F/Sgt Carius, P/O Fairclough, F/Sgt Verner, Sgt McLean interred in Fretzdorf Cemetery. 576 Squadron P/O Edward Childs – W4245 – crashed Königsberg (53.05N/ 12.43E), 7 miles SSW of Wittstock, exploded in the air. Sgts White and Bardsley PsoW, remainder of crew buried Königsberg nr Prignitz. 433 Squadron P/O Gerald Hagerman RCAF – Halifax III LV797 – crashed Frankendorf (53.01/12.72E) 7½ miles NW Neuruppin. 20.05 exploded on impact. Sgt Park-Taylor PoW, remainder of crew buried Frankendorf Cemetery. 463 Squadron F/O Douglas Dunn RAAF – ED949 – Neuruppin aerodrome (52.94N/12.78E) Attacked by a night-fighter about ten minutes short of Berlin, setting fire to the starboard wing and the bomb-bay. Bale-out had been ordered and when F/Sgt Smith exited the aircraft the Lancaster was in a shallow dive and conditions inside did not seem critical. However, local residents witnessed the blazing aircraft dive into the ground and explode on impact at Neuruppin Aerodrome. Buried Neuruppin Cemetery, F/Sgt Smith survived as PoW. 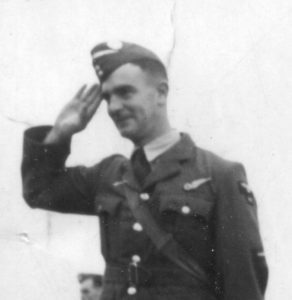 463 Squadron P/O George Messenger RAAF – ED772 – crashed a few hundred yards NW of village Jabel, 3miles NW of Lake Muritz (53.54N/12.54E), aircraft exploded in air – survivors Sgts Holmes and Brown blown out of aircraft and survived as PoWs. Messenger last seen still strapped in being assisted by FE with parachute. ‘Sgt Tupper killed by cannon-fire. Other members of crew believed killed by cannon or rocket fire or burnt after A/C blew up.’ Probably night-fighter using Schrage-muzik upward firing cannon. 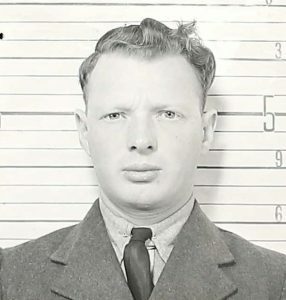 Sgt Valastin RCAF PoW. 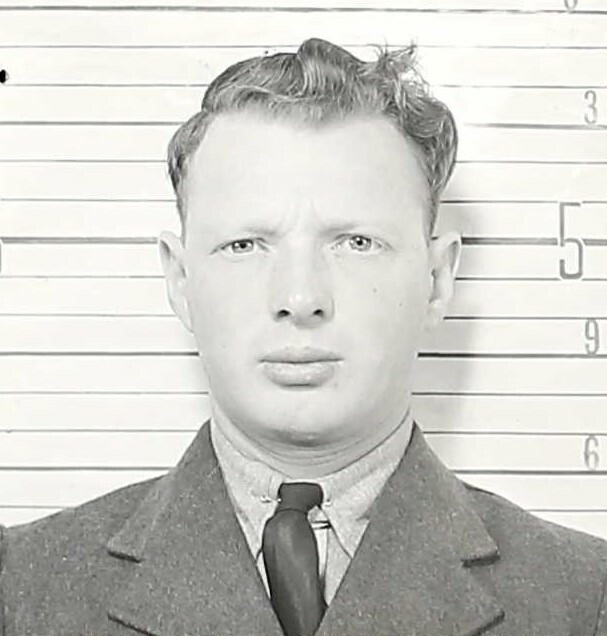 207 Squadron P/O Harold Broad – DV371 – crashed 2 miles north of Kremmen (52.80N/13.03E) – crew buried in village churchyard – P/O James Bruce Stewart RCAF service record refers. Sgt Downey PoW. 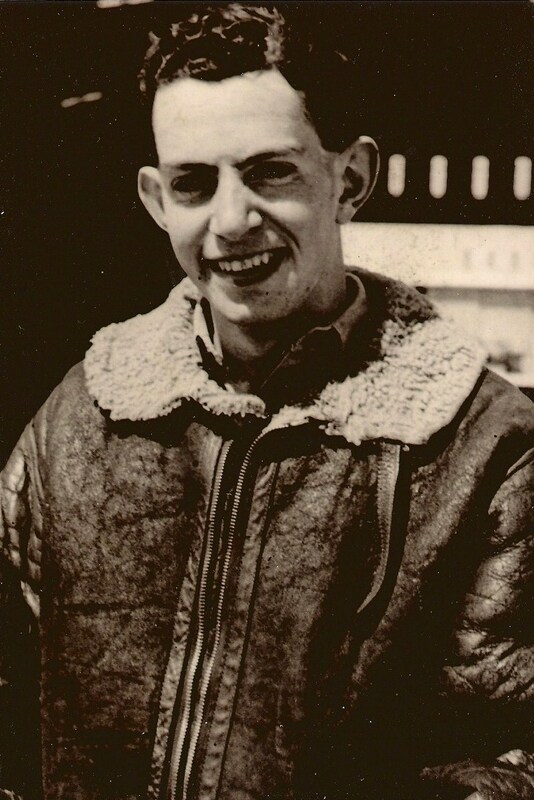 100 Squadron F/O Richard M Parker – JB673. – Schwante (52.74N/13.09E) – buried Schwante Cemetery Nr Germendorf. According to eye-witnesses the aircraft approached the village at medium height and was shot at by flak, following which it started to circle. Shortly afterwards the aircraft crashed and burnt for several hours on the ground. The wreckage was strewn over 100 yards. Two bodies were found 50 yards from the wreckage, one inside and three others nearby. The airmen were left lying in the field until they were buried in a communal grave in the NW corner of the village cemetery a few days later. 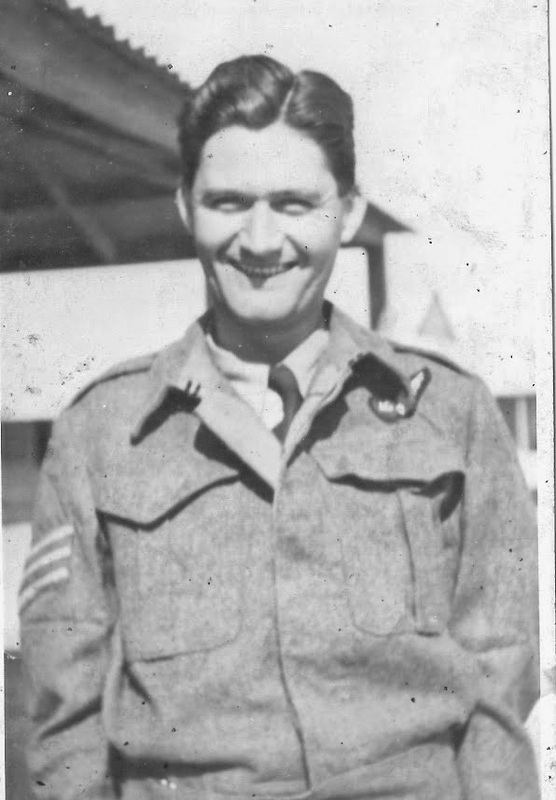 F/Sgt K R J Bradbury identified by his RAAF uniform and a partial service number marking to underwear. Sgt G S Ellis identified by partial service number in ink inside collar. The aircraft had crashed between the villages of Schwante and Velten. The body of the seventh member of Richard Parker’s crew was found several kms away from the crash site at Velten. Sgt E Starkie, identified by his identity disc had been buried in Velten village churchyard with a wooden cross marked ‘Sgt Sterke’ – date of death 30th January 1944. BERLIN 83 Squadron F/Lt Albert Henry John Sambidge –JB352 approaching AP, night-fighter attacked from astern – P/O Scatchard PoW, remainder of crew buried Marwitz (52.69N/13.11E) just beyond the north-western outskirts of the city. 550 Squadron Sgt G Hunter – ND396 – on approach to BERLIN, probably hit by flak, crash-landed, all survived to become PsoW. BERLIN 44 Squadron F/O A Johnston (pow) – JA843 – flak approaching AP crew buried Doberitz – Sgt G R Parker S J Wareham also Palmer, McRae and Gow and MacDonald on F/Lt Harold Hicks’ burial concentration page. 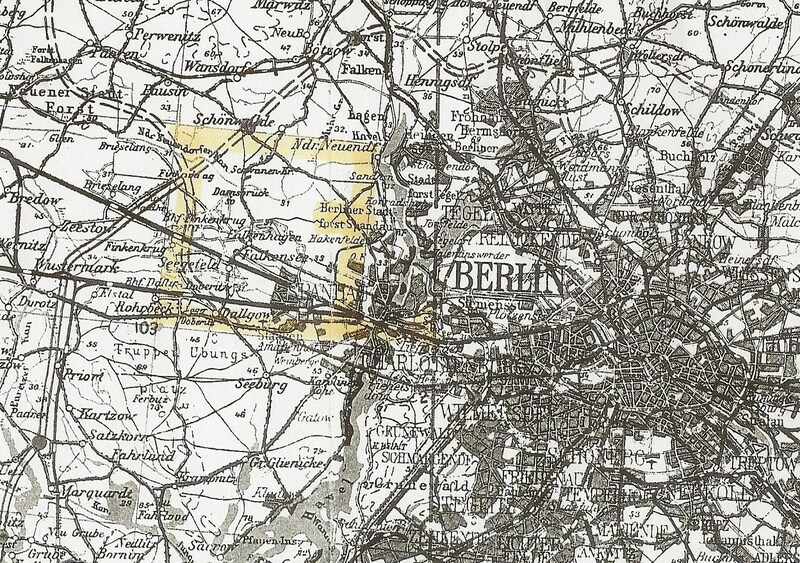 BERLIN 207 Squadron P/O Arthur Moore – ED758 – crashed 20.20hrs north-east of the Reich Sports Field (52.52N/13.24E), nr Schiebplatz, Ruhleben, Berlin – the Sportpalast – pretty much in the centre of Berlin. P/O Moore buried Doberitz-Elsgrund, crew Runnymede Memorial but assumed buried at Doberitz but could not be identified by MREU. BERLIN 622 Squadron F/Lt Ronald Brown – ED364 – Sgt Wootten buried Doberitz-Elsgrund so presumed aircraft shot down over the city.– remainder of crew commemorated on Runnymede Memorial but likely buried as unknowns also in Doberitz-Elsgrund Cemetery. BERLIN 166 Squadron P/O Jimmy Tosh – DV406 – night-fighter attacked approx.20.10 on run in on Berlin – Sgt Mosen recovered from nr Werder WSW Potsdam – poss Plessower See or Glindower See –. P/O J F Tosh and rear gunner Sgt R Walton were originally buried in Ketzin (Ketzien) Cemetery (52.48N/12.85E) without crosses, as unknowns in graves 1-713 & 1-714. F/Sgt F H Mosen and Sgt R A Morris originally buried at Werder Neuer Freidhof (cemetery) (52.36N 12.87E), as unknowns. Sgt Martin, Sgt Alletson and F/Sgt Brown RCAF were able to exit the aircraft and survived as PsoW. BERLIN 207 Squadron P/O Richardson Burnett – EE173 – within moments of bombing, attacked by night-fighter. Burnett and crew except for rear gunner Sgt Arthur Pulman PsoW. 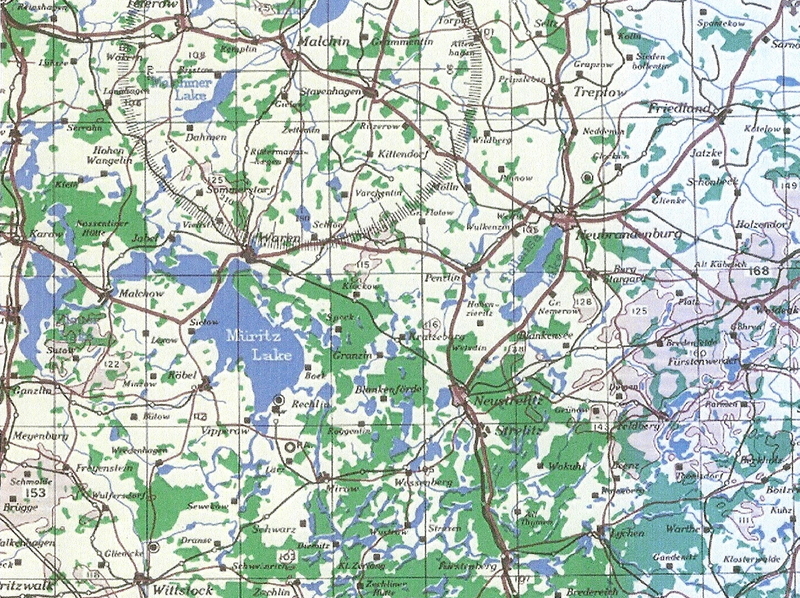 In December 1970, an RAF Lancaster was salvaged from Lake Krumme (52.45N/13.23E) in the American sector of Berlin. Its engine numbers matched those of Lancaster EE173. 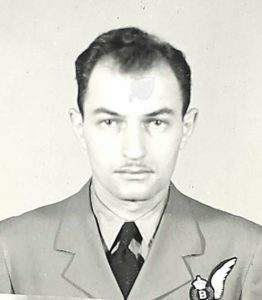 The evidence linking human remains found nearby and the aircraft were not considered strong enough at the time, and the remains buried in Rheinberg War Cemetery as those of an ‘unknown airman’. Evidence relating to the incident has now been examined, and with the help of the Air Historical Branch and research conducted by JCCC, it has been possible to identify the remains as those of Sgt Pulman whose grave was formally recognised at a rededication service on 13 September 2016 at Rheinberg War Cemetery, Germany. BERLIN 115 Squadron F/Lt Harold Hicks RNZAF – LL648- Johannisthal (52.44N/13.51E) to the south of the ‘Big City’ – was also buried with his crew in Doberitz-Elsgrund Cemetery. 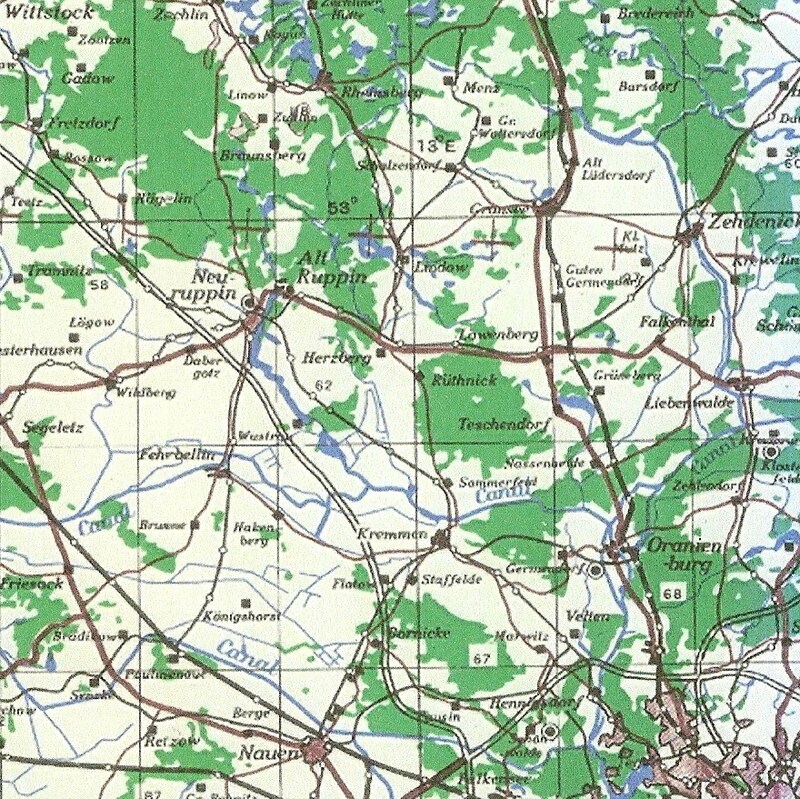 Doberitz being at the south-western outskirts. BERLIN – SW 405 Squadron F/Lt H L Shackleton – JA924 – attacked by a night-fighter shortly after releasing its bomb load. The port wing was set on fire and the aircraft went into a spiralling dive. At about 15,000 feet the aircraft’s fuel tanks exploded and catapulted the two survivors – pilot Shackleton and w/op Sgt H Williams out and they were able to open their parachutes. Remainder of crew Sgt Palmer, F/O Ashford, Sgt Newton originally buried Friedhof Doberitz-Elsgrund, Sgt Gibson, Sgt Walker, commemorated on the Runnymede Memorial. BERLIN 101 Squadron Sgt Douglas Froggatt – DV303 – possibly attacked over Teltow district of SW Berlin crashed south-west of Alexanderdorf (52.16N/13.32E). W/O Graves, F/Sgts Carmichael and Charnock baled out, Sgt Houlton and P/O Marder RCAF buried Alexanderdorf Gemeinde, so too Sgt Froggatt, Wilson and Heath although unidentified. 405 Squadron F/Lt Warren Roberts RCAF – ND462 attacked by night-fighter, crashed Loburg (52.11N/12.08E) presumed homebound. Originally buried in multiple grave on eastern side of Loburg Cemetery. The story from a local was that in the night (early morning) of 30th January 1944 the aircraft was hit by a night-fighter and caught fire. It was burning fiercely before it hit the ground, when it exploded and parts carried on burning. 156 Squadron W/O John Rule RNZAF – JA702 – Noord-oost polder – Marknesse (52.72N/ 05.86E) Sgts Cottam and Coyne were thrown out of the aircraft when it exploded and with the help of the Dutch Resistance evaded capture for several months until they were eventually captured and became PsoW. Details and crew photo of John Rule and crew appear on David Fell’s excellent www.northlincsweb.net site as their posting prior to 156 Squadron had been 103 Squadron. 97 Squadron F/Lt Ernest Clarke MiD – JB535- night-fighter homebound, above the village of Kolhorn (52.79N/04.88E) about 10 miles south-east of Texel on the North Holland peninsular 22.10hrs. It seems that despite being under heavy attack F/Lt Clarke attempted to avoid overflying the village, probably seeking a forced landing site towards the nearby Waarder Polder, but the aircraft exploded in the air. 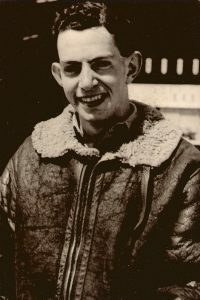 97 Squadron P/O Allan Hart – JB659 (57.37N/ 04.75E) between Haarlem and Amsterdam 22.10. Attacked by Me BF110 night-fighter on return route from Berlin about 7 miles short of the Dutch coast. The cockpit section containing pilot Allan Hart and b/a Gordon Williams was blown from the fuselage and the remainder of the aircraft, with two engines still running, crashed into the Van de Bijl family’s farmhouse (‘Sumatra’) near Zwanenburg. The crew, farmer’s wife Mrs Van de Bil and four of her nine children were killed. Farmer Cor van der Bijl died two days later in hospital. The five eldest children had been sleeping in another part of the farm and survived. BERLIN 550 Squadron F/O Godfrey Morrison – DV305 – attacked by night-fighter in target area, both gunners killed, landed Woodbridge, Suffolk. F/O Warren baled out and survived as PoW. www.550squadronassociation.org.uk has details of the events. 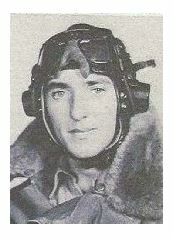 F/O Morrison was killed flying operations with 103 Squadron in May 1944. The 30th January Bomber Command operation against Berlin was the last raid of the current bombing period. German reports suggested that scattered bombing caused damage in more than seventy towns and villages outside the ‘Big City’. 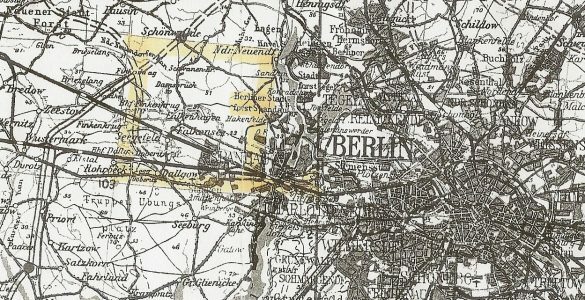 However, the centre and south-western corner of Berlin received considerable destruction, other districts also suffered significant damage. The death toll of Berliners that night has been estimated at over 1,000 souls, about five times the number of aircrew who perished. The next large-scalemain force raid would be launched during the night of 15th/16th February, once again the destination was Berlin. 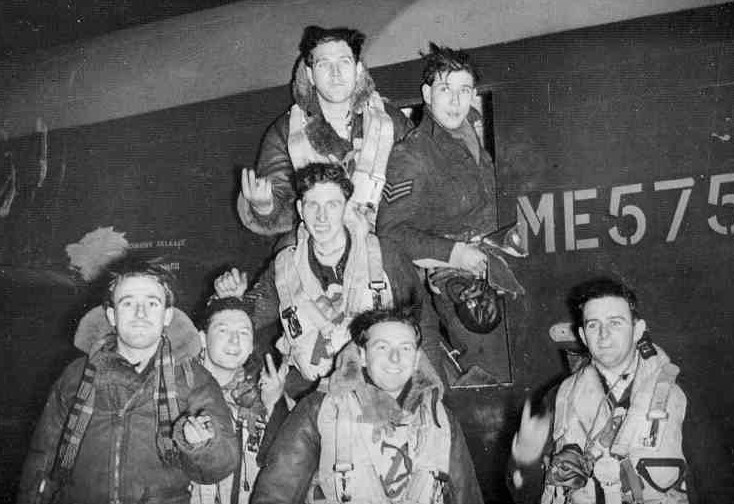 ← ww2 RAF Bomber Command 30th January 1944 – Berlin. Last raid of January bombing period.